Williams, facing up to five years in prison, tells the judge he has only $150-200 in his bank account, but is ordered to prison. Former Philadelphia District Attorney Seth Williams pleaded guilty in his corruption trial and now faces up to five years in prison. With Williams no longer in charge, change could be coming to the Philadelphia District Attorney's office sooner than election day. NBC10's Drew Smith has the details. 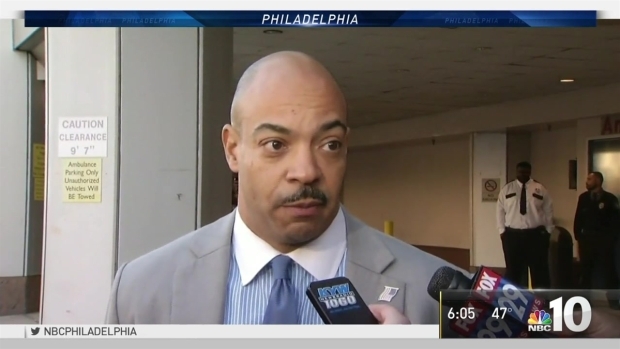 Disgraced Philadelphia District Attorney Seth Williams pleaded guilty Thursday morning to accepting a bribe from a Bucks County businessman and resigned immediately in an abrupt ending to his federal corruption case. He was then handcuffed and ordered held at the Federal Detention Center at Seventh and Arch streets until sentencing in October. 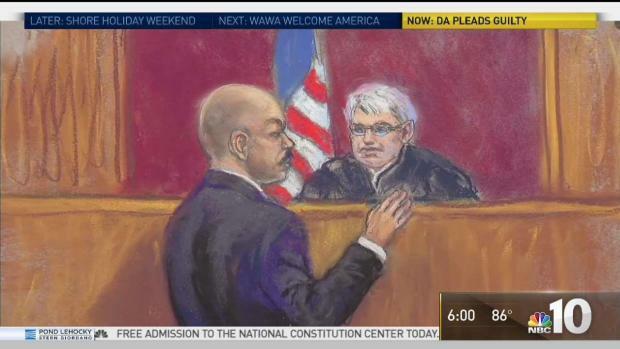 What should former Philadelphia District Attorney Seth Williams expect in prison after his guilty plea? NBC10's Harry Hairston speaks to former Philadelphia city councilman Rick Mariano, who was convicted on corruption charges in 2006, about what Williams will likely face behind bars. Williams, 49, admitted to accepting gifts in return for favors to businessman Mohammad N. Ali and could face up to five years in prison. As part of his plea, he would vacate his $175,000-a-year elected position. He said in court on Thursday morning that he "resigns humbly, sincerely and effective immediately." "I'm very sorry for all the trouble," Williams told U.S. District Judge Paul S. Diamond. While asking for leniency, he said he only has $150-200 in a bank account and is not a flight risk. Diamond, however, ordered Williams held. He was handcuffed and led out of court by U.S. Marshals. 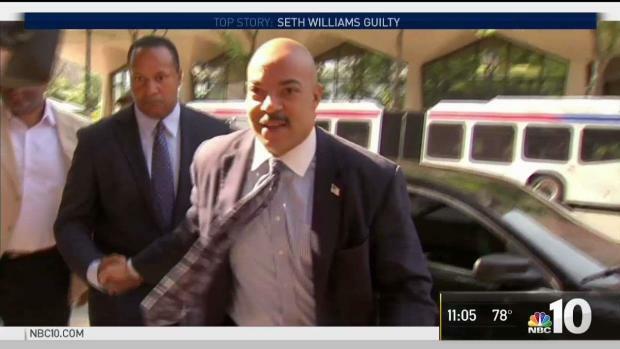 What Happens to Seth Williams Now? As Seth Williams sits in a federal detention center in Philadelphia, many Philadelphia residents are wondering where things will go from here. NBC10's Rosemary Connors reports. At the same time as the courtroom drama unfolded, the second-in-command at the city district attorney's office sent an email to the nearly 200 assistant district attorneys and their office staff promising that "the pursuit of justice continues and the hope for a safer and more prosperous city endures." First Assistant District Attorney Kathleen E. Martin said she would assume "all the duties and powers of the Office." "For the last number of months, this Office has continued its mission seamlessly under difficult circumstances and we will continue to do so," Martin said in an email sent at 11:34 a.m.
Later, at a press conference, the U.S. Attorney for New Jersey who oversaw the case, William Fitzpatrick, said the plea ends "an unfortunate chapter in the city's history." "Today's conviction is a great victory in the battle against corrupt conduct by public officials," Fitzpatrick said. Testimony had been set to resume on the eighth day of the high-profile case, but court proceedings were put on hold. Several sources confirmed to NBC10 that an agreement was made between Williams and prosecutors about 1 a.m. Thursday. Numerous witnesses took the stand this week, including a co-owner of Woody's, Center City's well-known gay bar, and Deputy Police Commissioner Joe Sullivan. Williams faced 29 charges. As part of his guilty plea, he could also face a fine of up to $250,000. In April, the embattled politician put his house up for sale as rumors continued to swirl about money problems. Earlier that month, Williams's license to practice law in Pennsylvania was suspended by the state Supreme Court. The city Ethics Board previously fined him $64,500 in two separate cases for accepting $175,000 in gifts, which turned out to be central to the federal case against him. The board found that Williams failed to disclose five sources of income and a total of 89 gifts that — in addition to those from Ali — included sideline passes to Philadelphia Eagles games and a free roof from a New Jersey contractor. The fine was the largest in the board's 10-year history and includes a first-of-its-kind recovery clause as well. Philadelphia District Attorney Seth Williams faces the biggest ethics fine in the city's history. NBC10 investigative reporter Mitch Blacher digs for more information on the latest scandal involving Williams. Gifts from Ali to Williams included a $6,000 trip to the Dominican Republic for the district attorney and a girlfriend. In addition to the vacation to Punta Cana, Ali also gave the prosecutor a Louis Vuitton neck tie, a Burberry watch, a $7,000 loan that was never repaid, a $3,000 couch and expensive dinners. In return, Williams helped Ali with security issues at the Philadelphia International Airport and promised to look into a criminal case involving a friend of Ali. "From in or about July 2010 to in or about May 2015, defendant Mohammad N. Ali engaged in an arrangement with Williams pursuant to which defendant Ali would offer, confer, and agree to confer a stream of pecuniary benefits ("benefits") to Williams and [Williams' girlfriend], such as travel, money, and other things of value that were concealed from timely public disclosure by Williams and, as consideration and in exchange for these benefits, Williams would reciprocate by performing and agreeing to perform official acts on behalf of defendant Ali and by violating Williams' legal duties as specific opportunities arose," read an information document filed in federal court in April by the U.S. Attorney's office.